How to edit subscription from backend? You will see the Subscription table. Click on Subscription id (for example, 5) to edit the subscription. On subscription page, you will see green colored panel where you could see the Edit button. Click on this edit button to edit / change renewal price, recurring period, next renewal date. 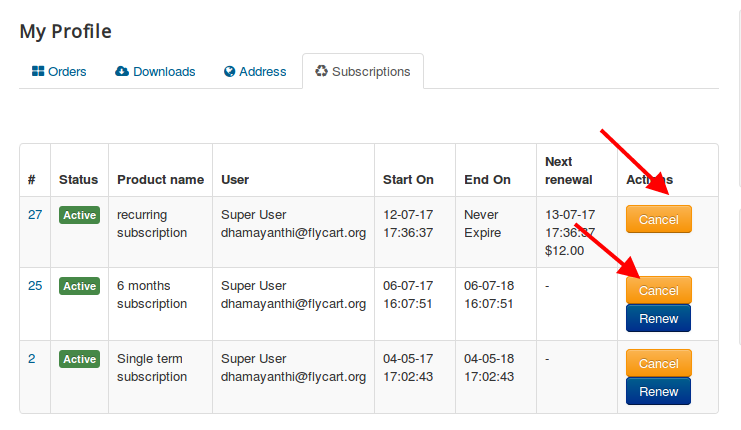 How to cancel subscription ? 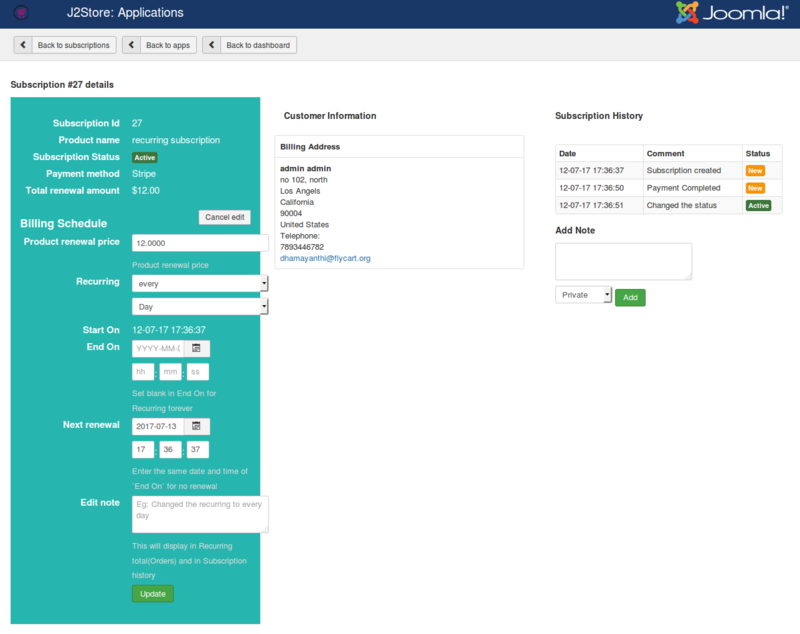 Cancelling subscription can be done by both store admin as well as subscriber. 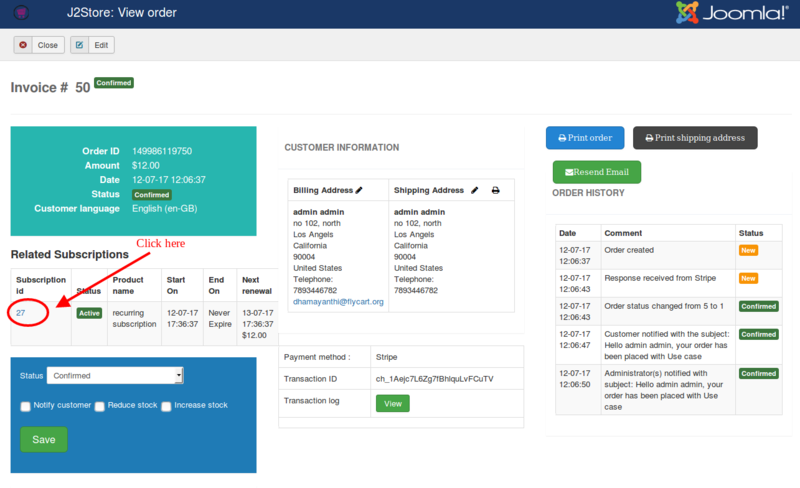 On frontend order history page , move to subscription tab. You will see the Cancel button on last column (named "Actions") of the table. Clicking on Cancel button will cancel the subscription. Open / Edit your order. You will see the subscription table. Click on Subscripiton id to cancel the subscripiton. After clicking on subscription id, you will be getting subscription page. On this page, you will see the option to update status. Choose Canceled from dropdown list and click on Update status button. The subscription will be cancelled. Go to J2Store > Apps and open Subscription Products app. On top of the page, Click on Subscriptions button. You will see the subscriptions list in a table. On the last column (Actions) of the table, choose the status Canceled and click on Update button. The subscription will be cancelled.